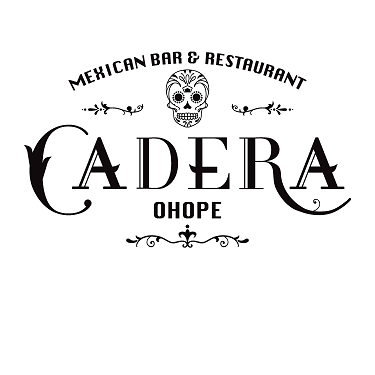 Join us for a night of music, dancing & good old kiwi grub! 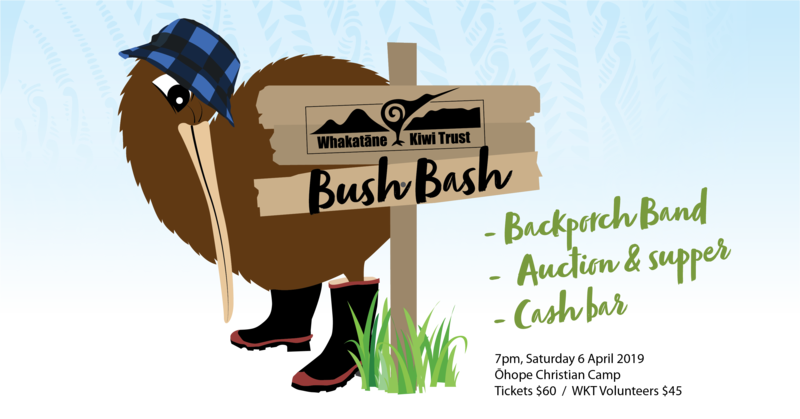 The Whakatāne Kiwi Trust is proud to present the Bush Bash from 7pm on Saturday 06 April 2019 at the Ōhope Christian Camp. 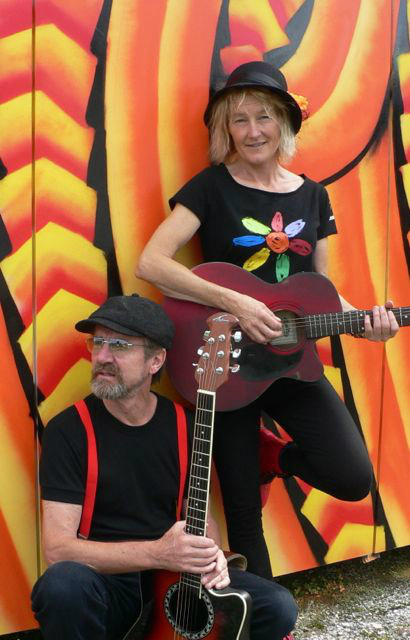 This will be a hoot of an evening, with live music from the Backporch Music Duo who will be playing a wide range of music from Johnny Cash and Buddy Holly to Eric Clapton and Hello Sailor, and even contemporary artists like Ben Harper! So dust off those old dancing shoes… or just go barefoot! 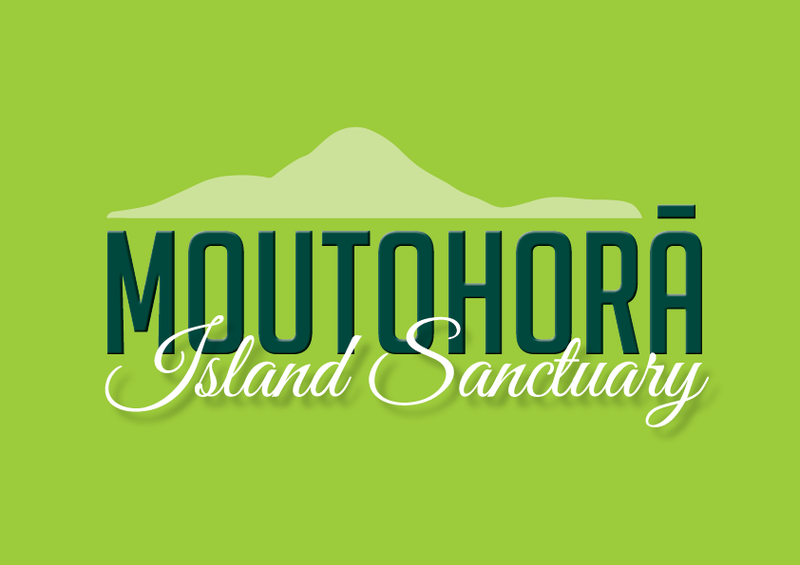 A tasty supper of antipasto platters, hot and cold savouries, and sweet treats is included in the ticket price of $60 for the General Public and $45 for Whakatāne Kiwi Trust volunteers. All guests will receive a free drink on arrival, and a cash bar will be available for guests to purchase additional beverages (at reasonable prices!). The evening’s festivities will also include a short charity auction, with some fantastic items donated by our wonderful sponsors and friends. A prize will also be given for the best dressed guest, so feel free to dress up in your favourite Kiwiana costume! (e.g. 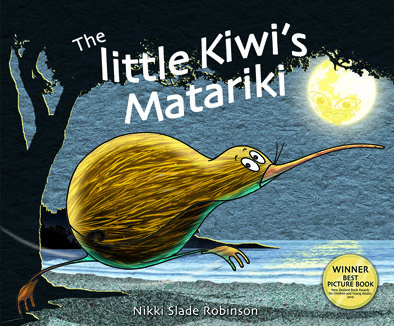 Footrot Flats, Barry Crump, the Topp Twins, the All Blacks, and of course our beloved kiwi birds!). Tickets can now only be purchased at the door for this event! We hope to see you there.